In a time of complex development challenges, the investments we make today in women’s, children’s and adolescents’ health and well-being will help build the peaceful, sustainable and inclusive societies we have promised to achieve through the Sustainable Development Goals. All that we strive for as a human family—dignity and hope, progress and prosperity—depends on peace. Peace cannot exist without development and development cannot exist without health and well-being, for healthy and empowered women, children and adolescents can bring about the change needed to create a better future for all. There is no equality without empowerment. There is no empowerment without knowledge. Our job is to foster the opportunities so that every woman, child and adolescent can understand — and demand — their rights. In 2015, when the Every Woman Every Child Global Strategy for Women’s, Children’s, and Adolescents’ Health was launched, we knew achieving something extraordinary called for a transformative approach in how we worked together as partners to accelerate progress on the Sustainable Development Goals (SDGs). Every Woman Every Child is increasingly uniting stakeholders across sectors for collective advocacy and action. It has created a surge of support to ensure women, children and adolescents are at the heart of the SDGs. One year on, this inaugural Global Strategy progress report serves as a critical tool for alignment, advocacy and accountability. This report showcases how multisectoral and multistakeholder partnerships are working across the life-course to ensure equitable access to quality and affordable care. Around the world, and across sectors, we are coming together to deliver together on a shared vision for, and of, women, children and adolescents as critical agents of change. We see that, around the world, citizens are getting mobilized to ensure their voices are heard. Many of the poorest countries are investing more in the health and well-being of their citizens. We must continue to work together across sectors building on strategies and interventions that we know work, while broadening our horizons to harness the power of innovation to deliver the next generation of solutions for complex development challenges. 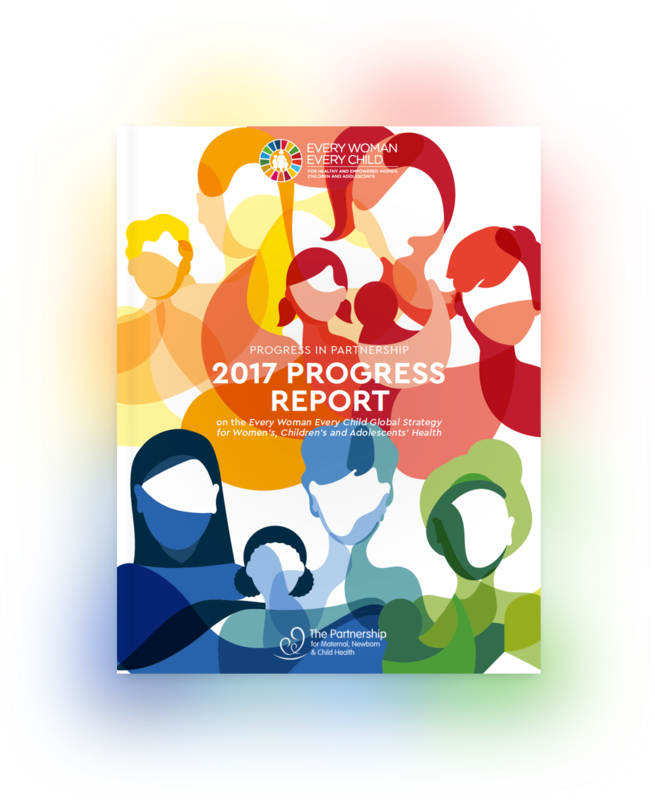 I urge all partners to reflect on the findings and messages in this first annual progress report on the Every Woman Every Child Global Strategy. While future reports will compile even more data against emerging baselines, this report sets out our expectations of doing more together, more effectively and more efficiently. We will keep working until every woman, child and adolescent attains their human rights – the health, freedom and opportunities we all deserve – and reaches their full potential. Copyright © 2017 Every Woman Every Child. All Rights Reserved.